Virtual drum machines have become more common, though the quality varies. One of the better ones is Hydrogen, a cross platform, open source program that doesn’t need any additional software to operate. There is no need for a sequencer either, so everything you need is included in the free download. The interface is intuitive, and you’ll have no problems figuring out how to use this as a virtual drum. There are plenty of samples included and you can use your PC keyboard to play. You can also use a sequencer or a MIDI controller to get the rhythm you need. There’s no limit to the number of patterns you can create either. Hydrogen has four editors, Mixer, Sample Editor, Pattern Editor and Song Editor. Its main toolbar has the standard functions like record, stop and play. 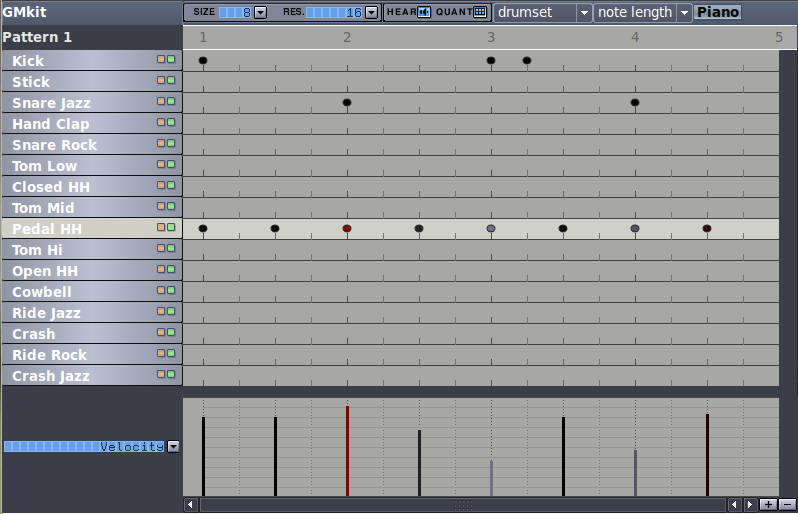 It is in the Song Editor where you can arrange and create new patterns. Once you’ve got a pattern you can edit it in the Pattern Editor. The Pattern Editor also contains info on the bar number, how long the notes are and the samples that come with Hydrogen. When you finally edited the samples and patterns, go to the sound editor mode and make any changes necessary. The process is not as complicated as it sounds, and if you’ve used a virtual drum machine before the steps will be familiar. The Hydrogen Mixer comes with knobs, solo, mute, fader, loops and more. While the program comes with a lot of features, the intuitive interface makes learning easy. The online manual provides a lot of useful information as well.